Disclaimer: This post is sponsored by Momtrends in partnership with Meredith Publications, Munchkin Visit Williamsburg, New Balance Jif, and Swaddle Me. All words and opinions expressed are 100% my own. 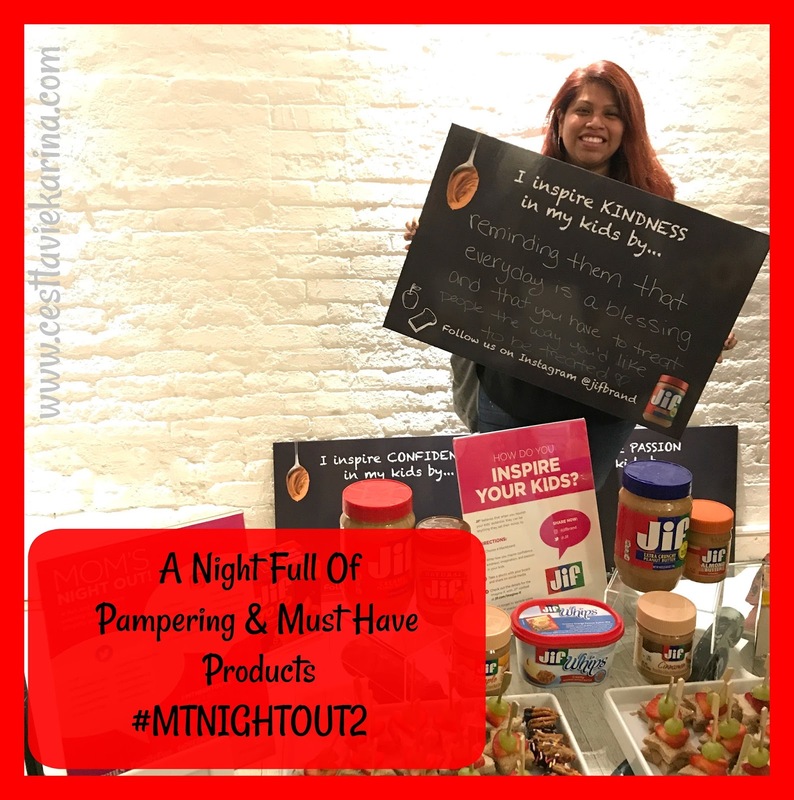 A mom's night out is something I always dream of. Don't get me wrong, it's not that I wish to not be with my kids it's just that a little me time is always a plus. Everyone that knows me, knows that a relaxed me = a happy mommy. Who better than Momtrends and Meredith Publications to along with some other amazing brands to know just the kind of pampering that moms need. 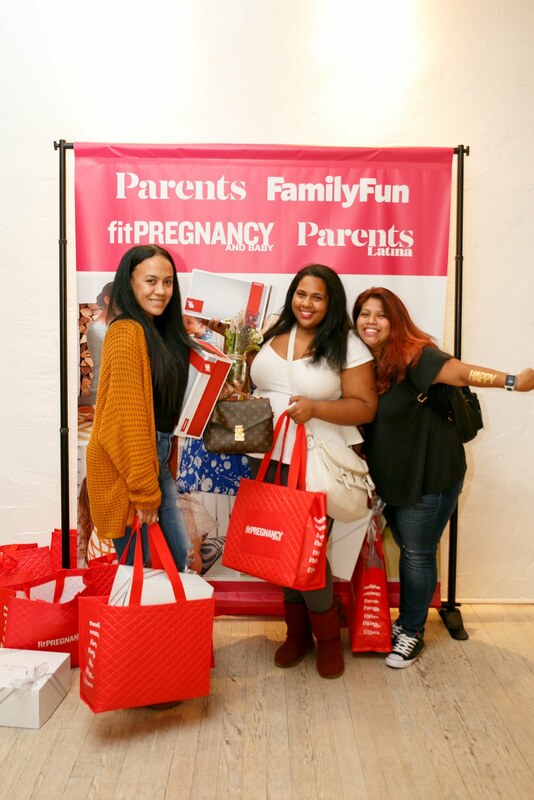 Mom's Night Out 2 was here and just like last years Mom Night Out it was a memorable one full of yummy food, great brands and friends that feel like family. Let me begin with that night's recap with something that happened a few minutes before I left for the event, even though it technically has nothing to do with Mom's Night Out, it definitely had something to do with the smile that didn't leave my face all night long and the days to come. That night was especially hard to leave the kids behind, with everything that was going on in the world and continues to happen right now. Just before I left the house, I'd shown Valentina some happy glitter tattoos and she insisted on me putting mines on as well so we could match. I'm not going to lie, I was a little hesitant. It was a big tattoo that I was about to put on in my arm, but this momma couldn't say no to her daughter and who doesn't love sparkly cute things?! Plus, i'd be wearing a cardigan and I could cover my arm all night if needed, which by the way I didn't and ended up rocking my Happy tattoo proudly! Now for all the fun had at Mom's Night Out 2. Let's start with food, I love food but really who doesn't love food. I'm starting with food because it was literally what I headed for first. After a busy morning and making sure I cooked for the kids before I left for Mom's Night Out, I forgot all about eating something. Which is not new at all because as moms that's something that happens a lot and that's why I'm grateful when I'm reminded how important it is to look after yourself and make time for you. Not only is it the right thing to do but it is also the healthy thing to do, always take care of yourself. After enjoying some yummy foods and making sure I filled up on with some H2O. it was time to check out al the amazing brands that are meant to make all moms life that much easier and fun! When you become a mom for the first time, it's always great to find a brand that will help you navigate during those first few months of parenthood, whether you are a first time parent or novice parent. SwaddleMe is just one of those brands, everyone knows that babies safety is a parents number one priority and SwaddleMe knows that. They evolve with parents needs and I am definitely loving some of their new products which include the all new SwaddleMe Footsie, it is a legs free swaddle with pajama-like footies. Really God sent because if my future baby is anything like me that likes to sleep with one leg sticking out of the blanket no matter how cold it is, baby will love this. They also have some fun SwaddleMe Gift sets perfect for baby showers or everyday presents. You can check them out here. After checking out the fun new SwaddleMe products, we were able to get a makeover. This momma who loves makeup but barely has a chance to put some one, really loved getting a mini makeover. It's always nice to get home and have your children say how pretty their mommy looks. Everyone knows that stinky diapers can be a hassle, I mean a stinky diaper that is not properly disposed of means a stinky apartment. How babies make stinky diapers if they don't eat solids, will always be a mystery. That's where Munchkin Step Pail comes in, it definitely is an apartment and nose saver. My son used to complain to me when I'd change my daughters diaper and it left the room or hallway stinky and that's where I regret not getting a Munchkin Step Pail, it really is one of those things that you need when baby is born and definitely worth the investment. Not only that but for every Munchkin Pail that is sold, Munchkin will plant a tree. Now that's giving back to environment and you have to love a company that gives back to the planet. 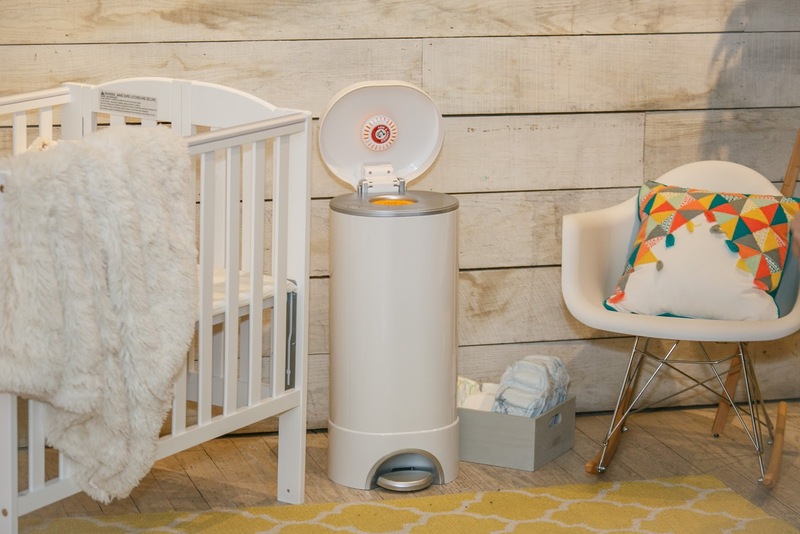 Munchkin is childproof, perfect for curious little siblings who'd love to see what the big white pail is hiding. It is easy to store in a little corner and easy to use with the step pedal. That night we got to make our own flower bouquets to help remind us what out apartment or home can smell like when baby diapers are properly disposed of, ha! Valentina was loving the flower bouquet that I got to take home. Make sure to check out Munchkin Step Pail here, you nose and family will thank you for sure. As a mom who loves to travel it was great to be able to stop by Williamsburg, Virginia. No, I wasn't physically there but it was great to be able to feel like I was there with my family when I got to create my own dream vacation inspiration board. It was fun to check out all the fun activities that are available for everyone in the family. There is a theme park and tons of outdoors activities to be done. It was definitely hard to pick out only the 9 activities shown above but these are definitely the ones that we'd all enjoy and the best part is that Williamsburg, Virginia is only a 6 hour drive away or 1 hour flight away. Which means that my dream board above might one day come true and my family and I could have some great memories. Jif was the next stop and what can I say, we LOVE Jif. Not only is it yummy but it's also great when a brand makes it easy to make yummy and fast snacks for the family. Not only was I able to check out the latest Jif products, but I also got to check out some yummy treats and that really came in handy because I was running low on snack ideas. We also got to make grab a blackboard and fill out how we inspire our little child's confidence, kindness, imagination or passion. Jim believes that when you nourish your kids potential, they can be anything they set their minds to. Beautiful message don't you think?! Right away I knew I had to grab the Kindness blackboard, that is definitely something that I always remind and teach my kids. One of the things That I always tell them is that they should treat others the way they'd like to be treated. Kindness goes a long way and so does a smile, it never hurts and it's free. Plus, you never know the difference that a smile can make. There's been numerous times when I've been having a rough day and a random stranger will just smile, it truly has made me smile back. So, remember be kind to others you never know the impact that it will have. This was almost the last stop before the event was over and by this time I was running low on fuel, that meant that I might have stuck around the Jif booth a little bit longer. You seriously can't blame me, the Jif snacks were great and I've already re-created a few at home. Stay tuned for a recipe post coming up soon. In the meantime check Jif out here. Last, but not least was the New Balance booth. As a runner and mom who is always on the go, I can tell you that a good pair of shoes goes a long way. Yes, it's always great to wear high heels because who doesn't love to feel like themselves and not a mom but high heels are not practical for running around after our kids. We got to try on a pair of Fresh Foam Arishi by New Balance, which we later got to take home. Talk about being spoiled right! I won't spill anymore beans on just how amazing these shoes are, because a review will be coming up in a few days. Not only were we spoiled with a new pair of shoes to walk around the city that never sleeps but we were also treated to foot massages, which unfortunately I did not get and I am now kicking myself for. You can check out New Balance Arishi here. It was an amazing night full of unforgettable brands, and friends that feel like family. As you can see above events are not only about meeting great brands but it's also about connecting with the people behind the brands and connecting with other fellow bloggers. It's also about amazing mirrors found in the bathroom, lol. I seriously need that mirror in my house. Thank you Momtrends, Meredith Publications and all the other amazing brands for a much needed mom's night out.